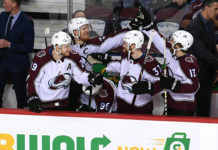 The Colorado Avalanche will have to look for their first victory of February another day, as they fell to the visiting Vancouver Canucks 5-1 at the Pepsi Center on Saturday night. That loss pushed the Avs’ losing streak to three straight games as the skid continues. While the Avs were unable to come away with the result that they wanted, tonight marked the 600th career game for veteran forward Colin Wilson. Although he was happy about the milestone, was more concerned about the 5-1 loss to the Canucks. Heading into the game with a new look for the first two lines, the Avalanche were trying to start their post All-Star Break with an offensive push. However, that never came. The Vancouver Canucks strolled to a quick 3-0 advantage through the first two periods of the game in part to a two-point performance coming from forward Jake Virtanen. Debuting a couple of new lines tonight, the Avs were hoping to be able to spread some talent through their lineup — it just did not seem to work. Special teams continued to be an aspect of the game that the Avs struggled in, as they 0-for-3 on the powerplay, while the Canucks closed the game 1-for-2. 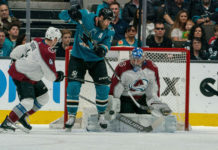 Desperate for any sort of momentum, Avs veteran forward Matt Calvert notched the first goal of the game for the home team, tipping a Nikita Zadorov slapshot past Canucks goaltender Jack Markstrom. However, any sort of momentum from this goal was short lived as the Canucks regained their three-goal advantage with a goal from Vancouver forward Tyler Motte at the 15:17 mark of the second period. 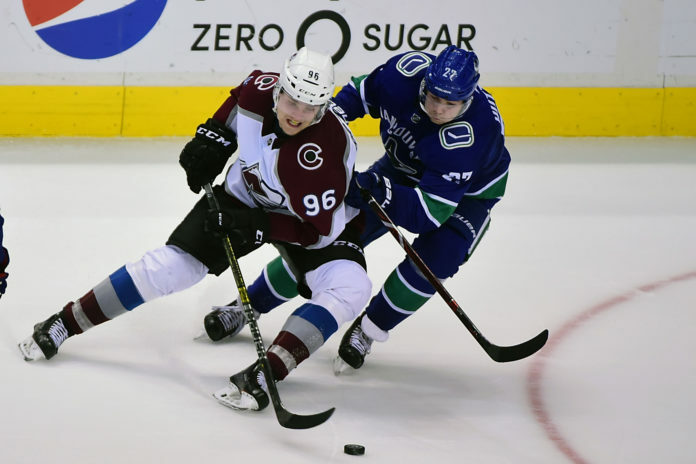 The Canucks held onto the 4-1 lead until Canucks forward Nikolay Goldobin found the back of the net to help them to the 5-1 victory over the Avalanche. Colorado will be looking to pick up their first victory of the month when they close out their homestand against the Columbus Blue Jackets on Tuesday, Jan. 5 at the Pepsi Center at 7 p.m. MT.